I have a 2004 Mazda 3, and I don&#39;t know if I have ABS or not. I looked up my VIN on the Mazda website, but it just gives the trim and the color, etc. I looked on google, and I can&#39;t find an answer, and I searched through here. How do I know if I have ABS on my car? Here is what the mazda website gives me: Mazda 3, trim is S4. The easiest way to find out (without investigating further) is to slam the brakes while doing say 40 mph, ideally on wet tarmac, gravel or snow. If you feel the brake pedal vibrating and the brakes are making noise, you have ABS. If the wheels just block, you don&#39;t.
Here all relatively new cars like yours are equipped with ABS, except possibly the cheapest model of some tiny cars. Can&#39;t you turn off the ESP? I&#39;m sure there would be a warning light if there was an ABS malfunction in the Mazda 3. Now if you need hard proof it has no ABS, why don&#39;t you ask wifey to point out the ABS control unit under the hood? When I looked through the owners manual, it shows the ABS icon for the dash, circle with "ABS" in the circle. When I turn on the car, it shows all of the lights that may turn on, and I can&#39;t find the ABS icon in the dash. 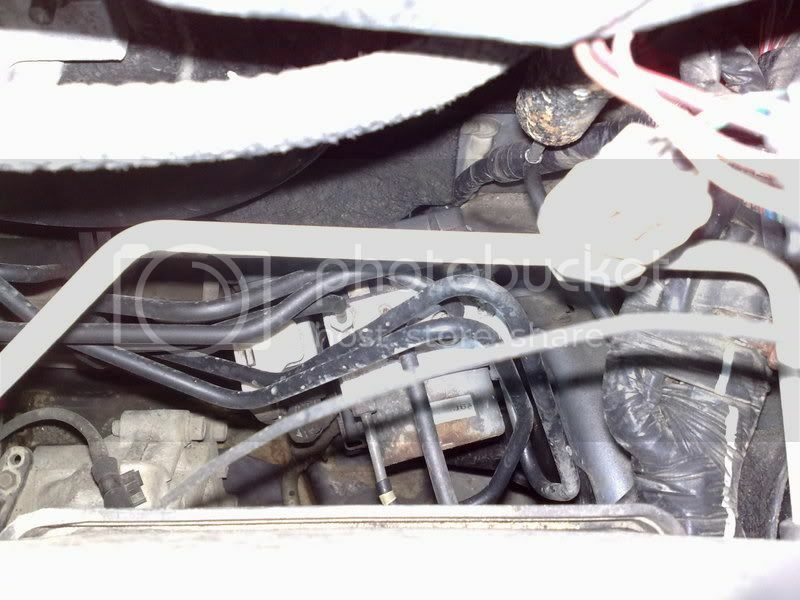 How does the ABS control unit look like underneath the hood? As for the Saab, I turn off the ESP, and pull the Emergency Brake, but I can&#39;t spin as well as the Mazda. It is a metal block, which has all the brake lines attached to it, as well as a control unit and an electric motor supplying the power. If the car had ABS, would the car have have the ABS light that would come on, during start up? If you have side and curtain airbags, you also have ABS. In 04 and 05 it was known as the SAB/SAC/ABS package. Another way to tell is to pull a wheel and look for a single very thin wire going to a sensor that attaches to... ummm. the control arms IIRC. And there should also be an indicator in the tach that comes on with the key, but goes out shortly after the engine starts. well normaly you would see the light but I been hearing about abs light malfunction where the light dosent com on or even comes on late.drive the car agen this time go to45 or 50 and than slam on the brake. non snow if that dosent take a corner at 35 to 45 mph if you dont start to slow down autamaticly you eather dont have it or the sensor is burnt out. remember abs is part of tractioncontrole.